Under the service manager model Plum Grove accumulates cargoes for major end users Salim Group, Mitsui and Seaboard who together represent a pool of significant consumptive demand for Australian wheat and other grains in Australia's most important export markets. Plum Grove operates in all grain exporting states of Australia and also has a grain storage, container packing and trading operation based in NSW and a regional trading office in Melbourne. This is managed under the Agrigrain brand. Agrigrain, with physical storage locations in Narromine, NSW and Coonamble, NSW, provides in excess of 300,000mt of grain storage with a principle focus on containerisation of grain for export through Port Botany in Sydney, but also offers significant seed and fertiliser supplies to the domestic market. 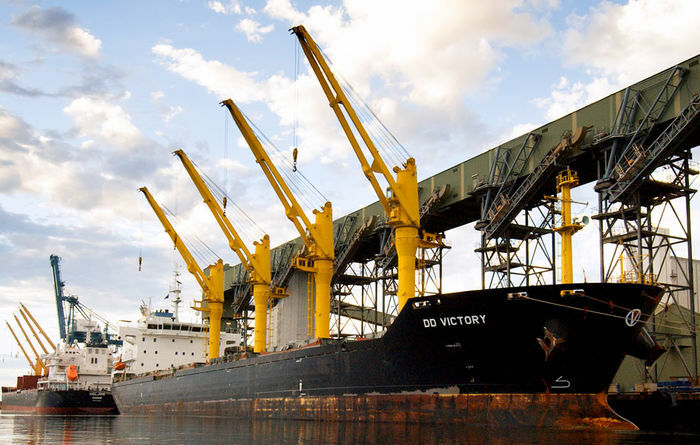 In addition the Agrigrain Melbourne office covers containerised exports from Victoria and South Australia. The service manager business model works to provide growers with relevant and timely information to assist with grain marketing and farm business requirements. The core foundations are based on being professional, innovative and reliable to the target audience. The ultimate differentiator being the service model also reflects a different approach to grain accumulation. While the trader model seeks to create the largest margin possible between the grower seller and the end user consumer of the grain, the service manager model seeks to create a closer bond between grower and end user by focusing on bringing the two parties together when market opportunities arise.